twofour54 is marking its 10th anniversary with staff and partners by celebrating incredible content being created in Abu Dhabi that is entertaining, educating and inspiring millions of people around the world. “Media in all its forms is an essential part of our daily lives, creating and moulding our decisions and opinions as individuals and as a society. The content we produce defines who we are and how we are perceived around the world. This year alone twofour54 has doubled the number of tenders on the briefing room and seen record numbers turn out to its networking events. 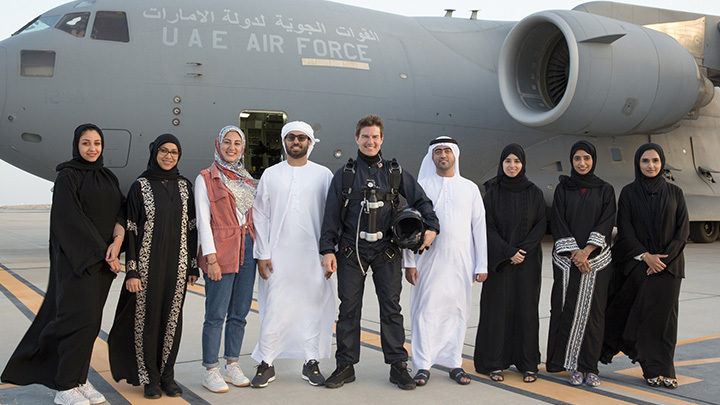 twofour54 also supports job creation in line with the vision of His Highness Sheikh Mohamed bin Zayed Al Nahyan, Crown Prince of Abu Dhabi and Deputy Supreme Commander of the UAE Armed Forces, to create 10,000 jobs for Emiratis in the private sector. At the media zone, 37% of the partner base is owned and operated by Emiratis who feel the need to be part of a creative community. Some 60% of twofour54 employees are also UAE Nationals, and developing UAE talent is something the zone will continue to champion. The media zone is encouraging and empowering the next generation of media leaders and content creators through initiatives such as the 13,000-strong creative lab, community workshops, the hugely popular summer camp, and its internships programme, all of which give youth a taste of a career in media. twofour54 also supports programmes such as Young Arab Media Leaders, which equips promising young professionals with the skills and expertise they need, and the UAE Apprenticeship Programme, which brings the private and public sectors together to develop the region’s top talents.